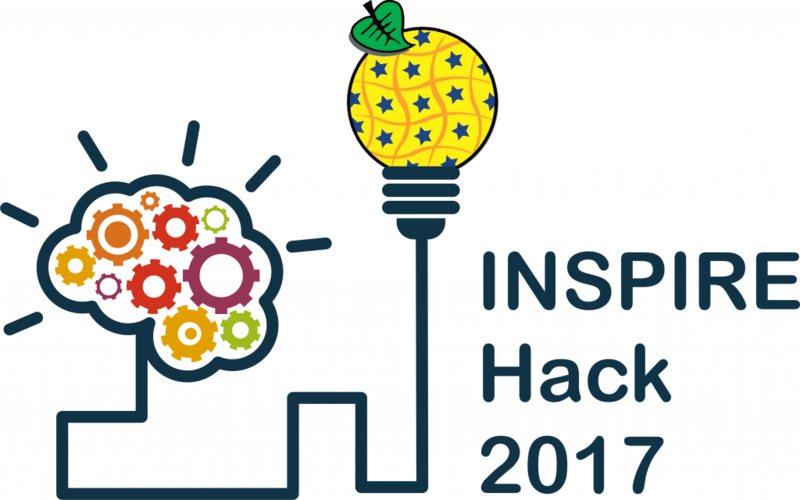 The INSPIRE Hack 2017 was finalised on Tuesday 5th September 2017 at the INSPIRE Conference 2017. We had in total 11 teams working on interesting projects using open data, volunteered geographic information and citizen observatories. The winner obtained a possibility to write a joint article that will be submitted to the International Journal of Spatial Data Infrastructures Research (http://ijsdir.jrc.ec.europa.eu/), free webinar from BLB (http://blb.as/) and propagation of the application through Plan4all, DataBio, NextGEOSS and SKIN websites and social media. This is the second edition of the INSPIRE Hack, i.e. a hackathon that is part of the INSPIRE Conference 2017. This time, the hackathon will start early in July 2017 when hackathon teams will be created and will start working on their projects before the INSPIRE Conference. The INSPIRE Conference will serve as a platform for presenting the hackathon results. All the hackathon teams will present their projects during a dedicated workshop at the INSPIRE Conference. The workshop including the award ceremony will take place either on 4th or 5th September 2017 in Kehl, Germany. The INSPIRE Hack supports creativity, innovation, technical capabilities and knowledge sharing. The INSPIRE Hack focuses on methods where citizens are able to contribute to different environmental and societal issues through smart phones and other sensors. Local and community activities capture local knowledge in multimedia such as videos, photos and other sensor data. The collected information can contribute to tackle environmental and societal challenges in agriculture, forestry, fishery, risk management, air, soil and water pollution and contamination, landscape management, education and commercialisation. Volunteered geographic information (VGI) is the harnessing of tools to create, assemble, and disseminate geographic data provided voluntarily by individuals. Recent developments in the sensor domain have led to a DIY (do it yourself) approach, using sensors based on low cost hardware, as well as an increasing availability of Bluetooth connected sensors that can be easily connected to a smartphone and together with existing smartphone sensors provide a large amount of spatio-temporal sensor data. Citizen observatories are community-based environmental monitoring and information systems. They build on innovative and novel Earth observation applications embedded in portable or mobile personal devices. This means that citizens can help and be engaged in observing our environment. Young generation representing smartphone users is one of the enablers of new geographic information based applications. Spatial information helps young generations to learn about relations to and with the environment, history and culture in different regions. Online sharing of spatial information goes beyond the linguistic barriers, which are one of the most important constraints for the communication between different regions. The open data movement covers many issues of using existing data sets without any limits or restrictions. Open data activities mean open-source, open-content and open-access. Open data sets are often provided by governmental bodies, but also by scientists or international organisations and bodies (e.g. European Commission, World Bank, Copernicus, Group of Earth Observations). The first phase of the INSPIRE Hack starts with creating teams that will work on a certain project. You can create your own team with people you know or people you’ve worked with before. Or you can can explore the existing ideas and teams that have been already created and you can simply join them. In any case, you need to register in order to gain access to the shared space where building teams and design of ideas is happening. As soon as you register, you will be sent a link to the shared space for collaboration. You can join the already existing teams and projects or you can create your own team and project idea. Please keep the shared space up-to-date and share the basic information about your team and project idea as well as your contacts and means of communication. The workspace will be accompanied by data and tools, which are available in preliminary versions, listed at the end of this page/document. All the teams will be invited to present their projects during the dedicated workshop at the INSPIRE Conference. For this reason, teams will be asked to prepare a presentation showing the hackathon results. The details including the timing for the presentation will be announced later on. The best three projects will be selected by the jury that will be formed during August 2017 and the winning teams will be awarded. This includes a live broadcast on social media, an interview (video/audio) with the winning team that they can use freely and that will be published in specified channels. INSPIRE CKAN extensions (https://github.com/CCSS-CZ/ckan-ext-inspire) – There are two moduled: These extensions are designed for work with INSPIRE metadata in CKAN. inspire_harvester – This module extends csw_harvester and spatial_metadata extensions to support harvesting of all INSPIRE required metadata elements from CSW 2.0.2 ISO AP 1.0. Inspire_theme – This extension enables: Display INSPIRE metadata user friendly form at CKAN interface. Export INSPIRE metadata in extended GeoDCAT-AP 1.0 RDF format. NiMMbus (http://www.opengis.uab.cat/nimmbus) – NiMMbus is solution for storing geospatial resources on the MiraMon cloud. NiMMbus is contributed to the hackaton as a geospatial user feedback storing tool. The system implements the Geospatial User Feedback standard developed in the OGC (and started in the FP7 GeoViQua project). This implementation in it using an API developed in the H2020 NextGEOSS The system allows to creating a citation of an external resource and then associate feedback about it. More information on how to use it and how to integrate in a metadata catalogue it can be seen at the github.com/joanma747/nimmbus.